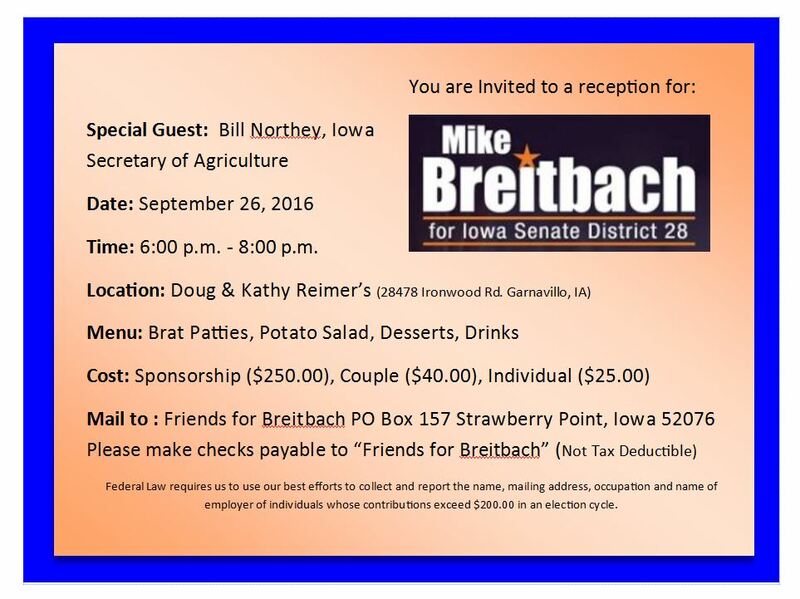 Please support Mike as he is trying to retain his seat in the Iowa Senate. You will have an opportunity to talk to Mike and Bill about what is happening at the State level. Click here for registration, please complete and mail as soon as possible.